Second plays first in this game and these are the two Group A teams that have already booked their passage through to the Top 16. This means that there isn’t too much riding on this game and even a home win will not be enough to topple Fenerbahce from the top of the group, but the hosts will be keen to cement second place. Alexey Shved has been the top man for the home team so far this campaign as he has averaged over 15 points per game so far. This is the sort of form that has helped the Eurocup holders make such a big impact in the Euroleague this year. It is not as though Shved has been the only star player for Khimki though; players like James Augustine and Tyrese Rice have also had a big impact at times. 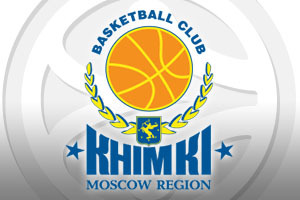 The home record has been a big factor in the success of Khimki so far this season and this will be something that they want to maintain before they roll into the Euroleague Top 16. 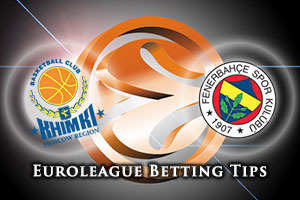 Will Fenerbahce be motivated for this game? Jan Vesely has probably been the stand-out player for Fenerbahce this season, which is no mean feat when you think about how consistent the team has been this campaign. However, excellent showings with respect to points and rebounds means that Vesely has been one of the most talked about and highly respected players for the Turkish side this season. Ekpe Udo is another player who has stood out this campaign and the center has received a great deal of praise for his player over the course of the regular season. It is hard to know how motivated the Istanbul side will be for this game, but if they perform, it could be a tough night for the hosts. The bookmakers are backing the home team and they have a bit more to play for, and they’ll be keen to put on a show for the home fans. Taking Khimki Moscow Region with a -3.5 handicap, at odds of 1.90, is likely to be a decent bet for Thursday evening. With the Over/Under market, look to go UNDER 160.5 at odds of 1.90. Bet Now!